(1983/Laurie) 16 original master tracks incl. Rock'n'Roll and Teen-Pop all time classics and rarities. 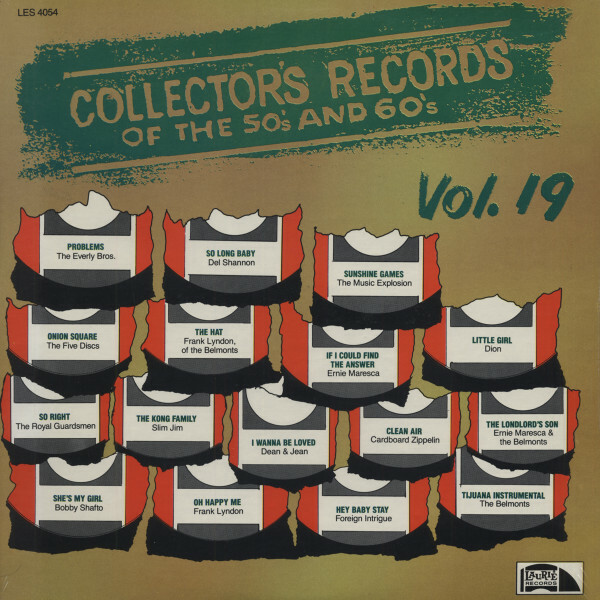 Kundenbewertungen für "Collector's Records of the 50s and 60s Vol.19"
The song “Onion Square” included on this album as by The Five Discs was written by singer/ songwriter Bobby Stewart. The song was originally recorded in 1968 by The Dawn (which did include former members of The Five Discs), but wasn’t released until 1983 on this Laurie Records compilation album as by The Five Discs. Through the years “Onion Square” has been released on several different compilation albums on various labels. Stewart is both the writer and copyright owner of “Onion Square,” but has never received any writer credits or royalties from Laurie or any of the other labels.